The Incredible Adventures of Van Helsing III bears the weight not only of its predecessors but of “loot grind” Action RPGs as a whole. While there are some great moments and interesting mechanics, the title as a whole never quite reaches that velocity to escape from the mire of mediocrity. Picking up where the previous entry left off, The Incredible Adventures of Van Helsing III once again places you in the shoes of the eponymous hero as he now faces off against his former ally, the mysterious Prisoner Seven. Seven has gotten it into his head that Borgovia’s feng shui is a bit off so it’s time to redecorate it by entirely reshaping the place using the Ink. Van Helsing liked the couch where it was so Seven is now his nemesis and must be stopped. You’ll venture through the shattered realm attempting to undo some of the damage and track down Seven so you can put an end to his plans. The three character classes from the previous title have been expanded to six, a move that makes sense when you looked at the way those three classes could specialize. The “Hunter” class was split into the Protector (defensive melee) and Bounty Hunter (ranged guns) classes, the “Thaumaturge” became the Elementalist (spellcaster) and Umbralist (melee assassin/stealth), and the “Arcane Mechanic” split into the Phlogistoneer (ranged heavy) and Constructor (minion guy/ghostbuster). The massive skill tree from the previous entry has been whittled down to just a handful of abilities and auras for each class, but the maximum level has been decreased from 60 to 30 so you have fewer skill points to spend on them. 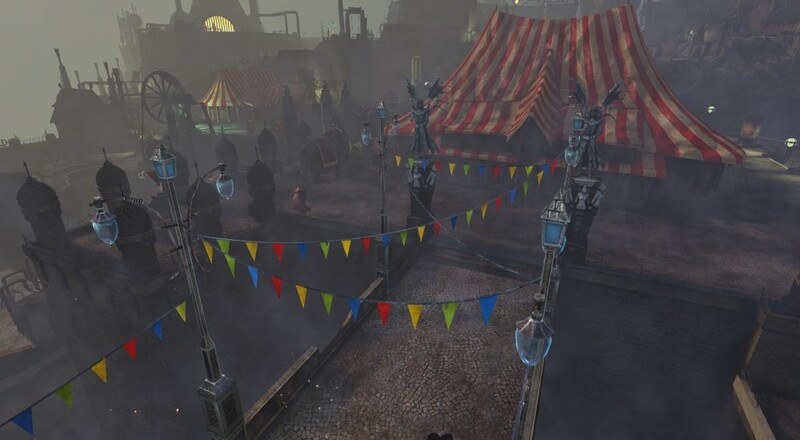 Fortunately you can reset your skills using one of the vendors in town for a nominal fee so you’re fairly free to try out different abilities and see how they do. This is beneficial when playing the game cooperatively for while the classes don’t exactly compliment me each other perfectly, there are some abilities (such as a passive aura that decreases ranged damage) that provide greater benefits when playing with friends. 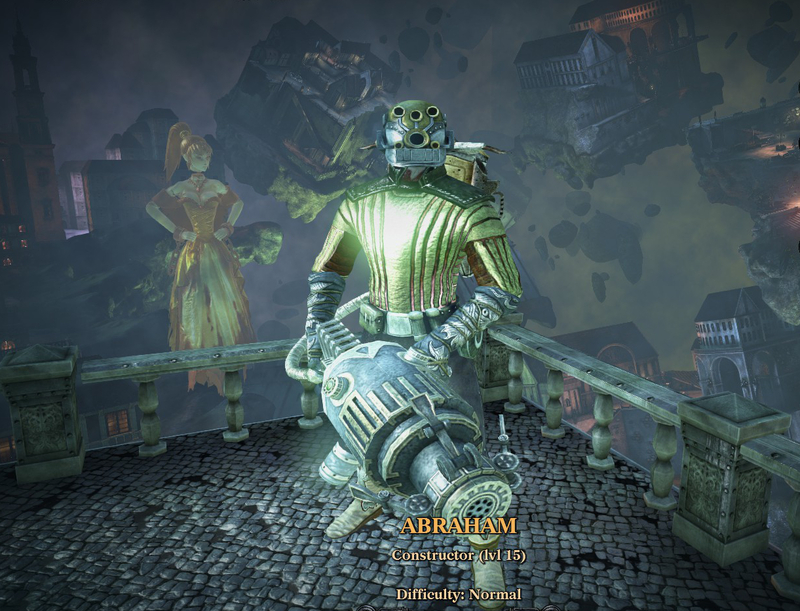 Outside of the level cap and class change, Van Helsing III plays much like the previous entries. Your ghostly companion, Lady Katarina, returns to help out and provide some occasionally amusing banter. Katarina levels up separately from Van Helsing with her own set of abilities, many of which are designed to passively boost your attack and defense. She can also attack enemies up close or from a distance, in order to compliment your particular class, or you can just have her provide an overall defense boost to your character. Interestingly, she also carries over in a co-op game so each player has their own Katarina hanging around. The campaign is split out across four chapters with each one playing out more or less the same: run around, complete side quests, kill evil foes, beat the main boss, and move on to the next chapter. Unfortunately, the main story quest (and areas) are a “one and done” type deal. Once you’ve beaten it, there’s no going back; so be sure you hunt down all the hidden easter eggs and complete all those side quests before you beat the chapter boss.